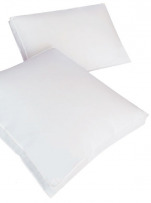 Synthetic pillow 60x60 cm, 100% cotton percale cover and 100% polyester filling. Zip closing for a pillow adaptable to each. Anti-allergie pillow. Washable at 60 degrees Celsius. White pillow for child 40x60 cm. Fabric : 100% microfiber polyester. Filling: 100% siliconized hollow fiber polyester. Special fireproof, ISO 12952/1 compliant with the requirements of Decree No. 2000-164 of 23/02/2000. Washable at 95°C and allowed dryer. Pillow 60x60 cm 70% new duck feather and 30% down. White pillow with 100% cotton envelope with bias. Pillow of 800 gr. Washable at 60°C and dryer allowed. This pillow is also perfect for people with allergies. White pillow 60X60 cm. 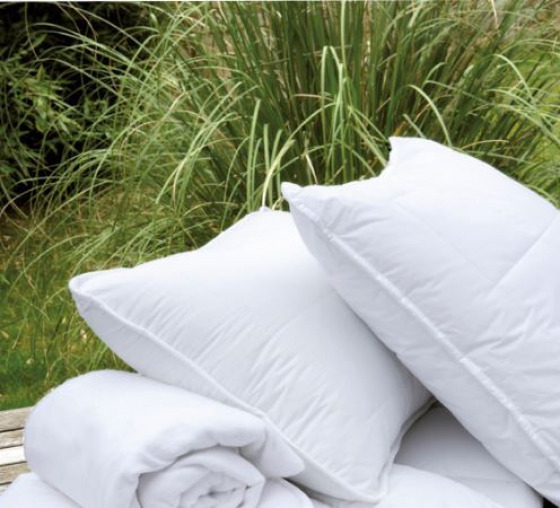 Pillow with 3 bedrooms including an inner area of 90% new white goose down and 10% feathers, class I of 350 gr surrounded by 2 plume areas with durable polychip of 100 gr each, wrapped in 100% cotton with white bias. Washable at 60°C and dryer allowed. This pillow is also perfect for people with allergies. 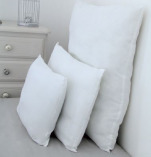 White glam medium pillow with 3 chambers for people who sleep on the side, washable 60°C. Pillow cover in 100% Mako twill cotton, medicott treatment and white piping finish. Filling: 90% white and 10% duck feather outer chambers, 100% new duck white center chamber (quality class I, in accordance with DIN EN 12934). 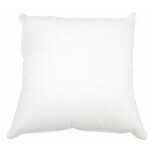 Synthetic pillow 40x60 cm ED firm, supple and soft at the same time thanks to its clever zipper. The pillow becomes adaptable to the tastes of everyone by removing or adding lining: you choose a comfort more soft or more flexible. Pillow 100% polyester in silicone balls fibers. Envelope: 100% white cotton 60 threads / cm². Weight: 350gr.